← What Where The Most Popular Furniture Items Sold Online in 2017? 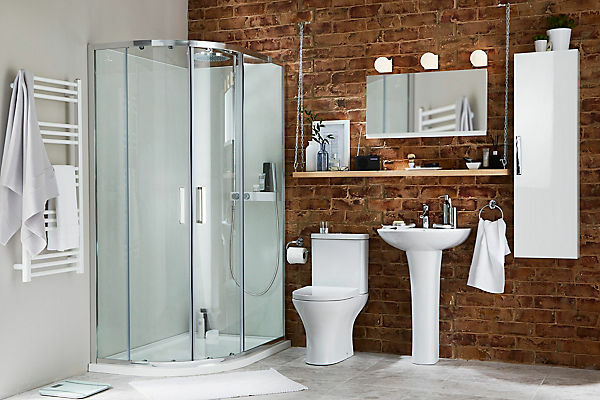 It goes without saying that men and woman want or need very different things when it comes to the bathroom and the fittings and furniture you fit in it. For example, most men are more than happy with just having a shower unit, pedestal bathroom basin, shaving mirror with shaving light and a small shelf unit beneath the mirror. This will provide everything they will need on a daily basis and will save a lot by going with a very minimal approach. On the hand, most woman will see a bathtub as being an essential bathroom fitting, as they will need to take time for a long de-stressing soak at least once a week. Also you will find that woman require more storage space in the form of cabinets, shelving units, vanities and a wide/large surface space around the sink for placing all their cleansers, toners, clipper, brushes, picks, bands, sprays Etc. With all the extra toiletries and beauty products will come the need for also placing a bin of some sort. So if you want to keep your other half happy when it comes to re-designing or renovating the bathroom, you should make sure you speak with her to find out what she considers as being essential for her to enjoy a happy bathroom experience. You might get away with not having to fit in a bathtub and of course in many cases the space available will just not allow for one. You will however probably be requested to invest in a solid, hard wood vanity unit with a stone top to make room for the products she will need easy access to. A wall hung mirrored cabinet is also likely going to be on the list of necessities, which is not so bad as this will also cover you with providing the shaving mirror, light and also a place to store away your shaving equipment. You could then also fit another shelving type unit to make more space as you will surely need it (believe me), and this type of fitting will be relatively light on your wallet. Lastly, I forgot to mention the towel rail, which some of you men will not see as being essential, but your better half will – it doesn’t need to be heated, but it does need to be well fitted so that it doesn’t soon rip off the wall.